Artio Partners is a leading firm specializing in global mobility services, expatriate tax consulting and preparation for US expats, green card holders and foreign nationals. 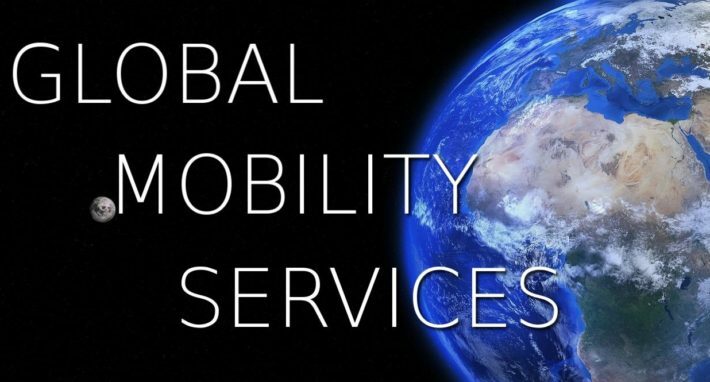 Our best mobility experts, accountants and CPAs assist with US and foreign issues. We provide a full range of services to international assignees. We offer individual and corporate educational seminars to cover a wide range of country specific topics. Our niche is International Assignment Services. Artio Partners is the winner of the prestigious APAC EMMA's award. We cover a wide range of international topics like foreign visas, foreign real estate, foreign mutual funds, foreign adoption, FBARs, FATCA, controlled foreign corporations, past due expatriate tax returns, foreign income filing, currency transactions, US citizenship renunciation etc. Are you going to move abroad? You must be aware of important tax rules. Artio Partners prepared a short summary to prepare you for the first year abroad. If you need additional help, please complete our Contact form. We will be happy to assist you. Americans living and working abroad have to file and pay taxes in their country of residence. Additionally, US citizens and green card holders have to file US expat tax returns and report their worldwide income every year if they meet the US filing requirements. The US tax code is getting more and more complex every year. So it is essential to understand the key IRS (Internal Revenue Service) rules for American expatriates. We get a lot of questions about the following expat tax rules and topics: foreign earned income exclusion, foreign housing exclusion, foreign tax credit, physical presence test, bona fide residence test, married filing jointly, filing state returns for Americans living abroad, green card tax requirements, FBARs, FATCA, PFIC and social security benefits for US expatriates. Let us review the key US expat tax rules. How can US expats avoid double taxation? Per IRC section 911, American expats are entitled to several foreign exclusions if they meet the requirements. Foreign Earned Income Exclusion. Every year a US expatriate can exclude up to $99,200 of foreign earned income in a tax year 2014 if s/he meets certain criteria. Specifically, an American must live abroad for 330 days within 12 consecutive months or become a bona fide resident in a foreign country. Taxpayers must file an expat tax return to claim this exclusion because it is not granted automatically. If taxpayers file Married filing separately, each spouse can claim the exclusion if s/he meets a physical presence test or bona fide residency test. Foreign Housing Exclusion. US expats can exclude certain housing expenses like rent, utilities, parking, occupancy taxes if they are eligible to claim the foreign income exclusion. Self-employed individuals can claim the foreign housing deduction, while employees can utilize the foreign housing exclusion. Foreign Tax Credit. US expatriates that pay income taxes in a foreign country can take a credit for foreign income taxes on US expat return. 1116 Form must be filed to claim the foreign tax credit on a dollar-for-dollar basis. Should American expats file state returns? The state tax rules are unique. Many states do not require Americans living abroad to file a state return. However, some states (like Virginia) might treat an expatriate as a resident, although, s/he has not resided in the state for an entire year. It is important to understand the specific state rules to avoid costly mistakes. Does the USA have tax treaties with other countries? The USA has a tax treaty with more than 60 countries and 24 social security totalization agreements. Tax treaties address a wide range of topics covering residents in both countries. A social security agreement has been designed to increase global force mobility. Some US expats may still be required to make US Social Security and Medicare contributions. Are Americans required to file the FBARs? The FBAR must be filed both by American expats as well as US persons if they have foreign financial assets with an aggregate value over $10,000 at any time during the year. The FBAR must be filed by June 30. This form does not have any extension. A failure to file the FBAR can result in substantial penalties and even a jail time. FATCA is the Foreign Account Tax Compliance Act. FATCA has been introduced by the IRS effective in a tax year 2011. FATCA has had a profound impact across the globe. Effective in 2014, foreign financial institutions are required to report to the IRS (depends on the IGA, intergovernmental agreement) the information about foreign financial accounts of US persons. What are expat tax return due dates for Americans living abroad? Americans who have resided in a foreign country on April 15 get an automatic extension until June 15 to file a US expat tax return. However, any tax due must be paid in full by April 15 to avoid any interest and penalties. US expats can request an additional extension until October 15 if they need additional time to collect all documents. There are other things to review before your move. Each country has its own set of laws and regulations, so it is essential to investigate and research these rules before moving to a foreign country. The best way to proceed is to contact the embassy or consulate and request the information for expatriates relocating to the country. It is essential to do it early because the process involves several government agencies and it takes time to complete. Also, please make sure to check the expiration date of your documents and to renew early if any of these documents is set to expire in the near future. If one of your documents is lost abroad, it is important to have an official copy with you. Please make sure to request notarized or certified copies of important personal documents before you move overseas. Also, please allow at least several weeks for these documents to arrive. Any overseas move is expensive and can cost you several thousand dollars. Consequently, it is essential to contact international moving and shipping companies and obtain quotes for transporting your household items abroad. Additionally, if you move to a distant location, it could take over a month for the items to arrive. So it is essential to plan ahead when scheduling your shipment. Each country has its own set of insurance requirements so it is important to research various types of insurance and their availability in a foreign country. American expatriate must obtain an International Auto Insurance policy if s/he plans to operate an automobile in a foreign country. Requirements vary among countries, so make sure to select an insurance provider with the expertise and resources to ensure the policy meets your requirements. Another type of insurance that you need is the property insurance. International personal property insurance might include include transit and destination coverage as well as insurance coverage of items damaged during the relocation process, while in your foreign residence or during shipping and transit. Contact an insurance provider that specializes in insurance for expatriates. Please make sure to check the health system in the destination country. Even if your destination country has a socialized healthcare system, an American expat may not be eligible for coverage for some time. If you are not covered under a group medical insurance program, individual policies can be purchased to protect a person in a foreign country. These policies include worldwide medical protection and also can include evacuation services. Costs are reasonable and, in many cases, less expensive than a relevant insurance purchased in the USA. Please review your accounts and notify your banks that you will be abroad. Online international banking might be a good solution to transfer and manage funds between countries. Some medicine might not be available in a foreign country immediately. If you or a family member takes prescription drugs, purchase additional quantities and obtain a copy of the medical file related to the condition. Keep the copies in your carry-on luggage in the event any bags are lost in transit. If your driver’s license is set to expire, please renew it in advance. Acquire an international driving permit (IDP) and take extra forms to renew it annually by mail. You can obtain an IDP at a local office of the American Automobile Association and the American Automobile Touring Alliance (through the National Auto Club). Please carry both your IDP and your U.S. state driver’s license with you at all times. If you plan to move a pet abroad with you, please ensure that it receives a proper vaccination and find a pet carrier. If you decide to leave your pet in the USA, then take time to file a loving home for it. As soon as your travel dates are final, please book a trip and make hotel reservations. To save on long-distance call, you should consider using VOIP (Voice over Internet Protocol) phone service, otherwise known as broadband phone service. This is an affordable way for expatriates to make local, long-distance and international calls, all for a relatively small monthly fee. Some people use Skype to stay connected with their friends and family in the USA. Please cancel all publication subscriptions and complete the appropriate forms at the post office to ensure your mail is forwarded to your new address. Many publications have an online subscription that is a wise choice for Americans abroad. When in Rome, do as the Romans. You heard this saying. Learning the traditions and culture of your new country will help you to adapt quickly to your new home. If you have additional questions, international tax experts at Artio Partners will be pleased to review your questions .